So you’re thinking of going it alone, in the big bad world of web design? You’re eager to get your own site up and running at least? Good for you. Here are some web design tips to get you started. Stock photos in general are not the best idea for your website. If you use them as your primary header or thumbnail or whatever it might be, chances are you’re going to find the very same photo is used by some other business while on social media perhaps. We’ve seen the same smiling suited man advertising everything from web design to money lending services to chiropractors. It’s jarring and weird to see something you have used and are comfortable with appear somewhere else, as if your brand is having a secret affair with someone else!? Be unique and different. It’s very likely that the device you are reading this blog on is capable of taking some pretty decent photos. So use it! Take a couple of interesting shots incorporating your products or business services. It doesn’t take a lot to do that. If you’re a start-up and you have absolutely no other choice but to use stock photos, unsplash and pixabay are a couple of nice resources for them. In general, try and keep the stock photos in your website to a minimum or for blog headers alone. When was the last time you really engaged with a self-promotion post or piece of advertising content. As consumers we have become so overwhelmed by advertising, our brains almost have advertising filters. On some conscious level the brain recognises it and its traits and says to us “It’s alright, scroll on, nothing to see here”. 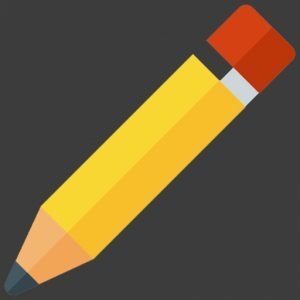 So, when considering your content and your message or whatever it might be it’s best to consider a couple of things. How are you going to stand out from the rest of the stream of advertising? Your website should be offering value to your reader or potential customer. Don’t harp on too much about how great you are. Tell them how you can help solve their problem. Think of it like an interview. Anyone can say how wonderful they are in front of a couple of people. The trick to getting the position though is to actually explain to them how you would fit in and take on the day to day issues. Emphasize the value that you could bring to their organisation. Bonus Tip: When posting on social media its best to balance out your post types. Self-promotion should be kept to a minimum, 1 per day even. Don’t give users any excuse to click out of your website. If you’re selling website design services, then that should be front and centre on your landing page. Selling organic vegetables? Let me know straight away when I click into your site. Don’t bombard me with information or gimmicks. Make it as easy and as comfortable as possible for your website visitor. Invite them into your uncluttered living room, give them a comfy chair with a cup of tea, then show them what you sell on a very large 4k television. 99.9% of the time website owners are trying to convert visits to sales. Unfussy designs with clear messages can achieve that. Details come later. 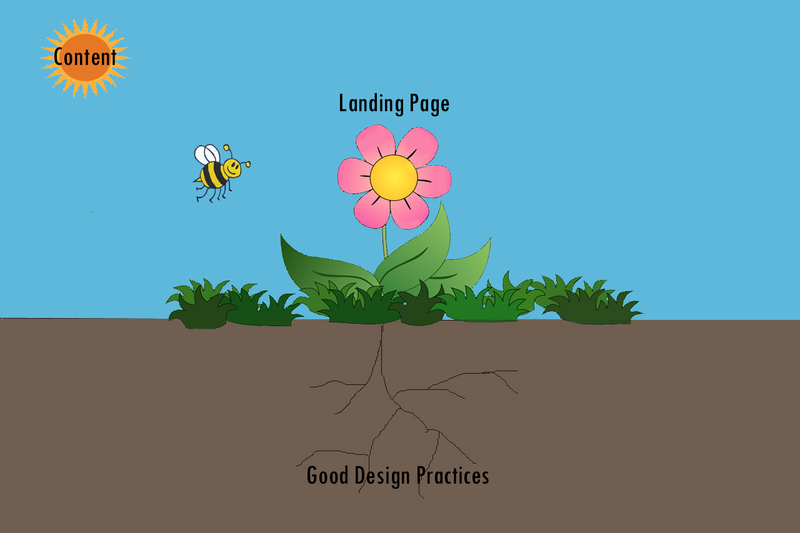 The best analogy for any website design is that of the flower. Your landing page should be pretty and simple in order to attract visitors while the complexities and workings of what makes that landing page so elegant are hidden away from them. If they are attracted to the landing page, they may go deeper, require further details of your product or service i.e. they stay to smell the flower. 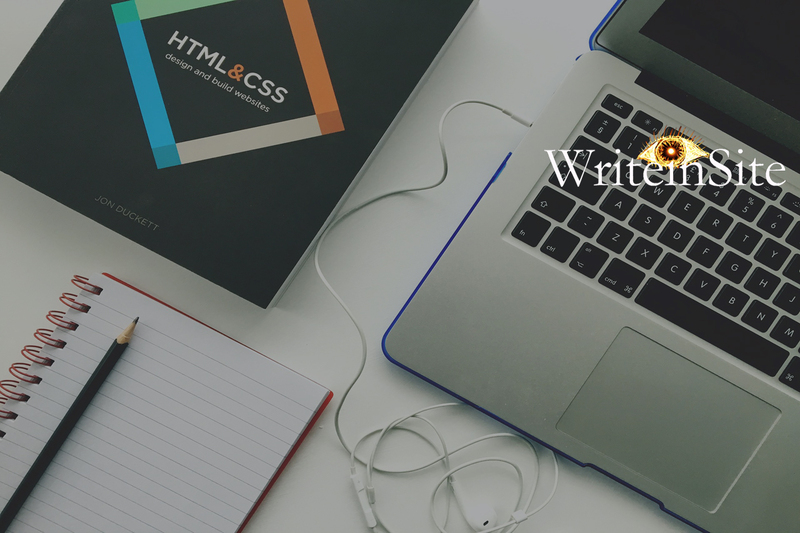 If you’re thinking of hiring someone to carry out web design for you, then take a look at our things you need to have and know post right here. For more advice and web design tips be sure to check in regularly. The best way to keep up to date is to like us on facebook.